Among the pioneering brands is Speed Queen, established in 1908 under the auspices of Joe Barlow and John Seeling. 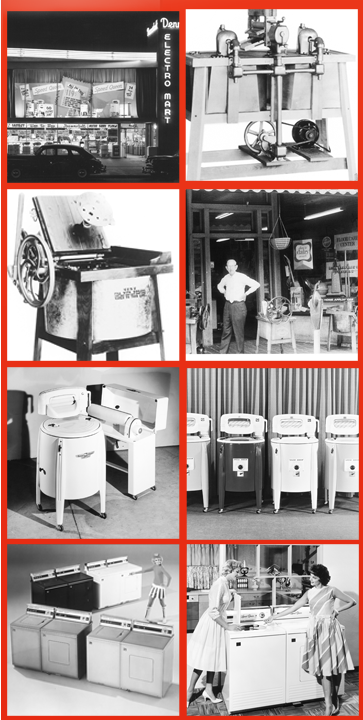 Since then, Barlow & Seeling Manufacturing – which later became Speed Queen – has remained at the forefront, producing ever more reliable and efficient machines, with the result that the century-old brand is now part of Alliance Laundry Systems, the largest group of laundry experts in the market. Speed Queen has been manufactured washing machines for domestic and professional use for over 100 years. All our product lines have one common denominator: a passion for innovation and the quality of the materials used in their construction. Whether you are a hotel manager, the owner of a laundromat, a student or a parent, we offer a unique experience: a perfect wash in record time, this is our aim, one of which we never lose sight. All Speed Queen’s products and services have a common denominator: customer experience, whether it’s an individual doing his laundry in a Speed Queen laundromat or the investor managing a laundry premises. The machines are built using stainless steel and subjected in the laboratory to extreme conditions. Speed Queen designs machines that are long lasting, able to cope with thousands of cycles without any maintenance. The design of the washing machines is optimized by computer to extend lifespan, better balance the load and reduce vibration. Sturdy coil springs and shock absorbers, strategically placed, stabilize the machines and absorb vibrations caused by load imbalance. The machines are lighter, sturdier and quieter. Cycle times are shorter than ever: in 30 minutes, our machines can wash more than 20 kg of laundry per cycle. The spin speed of Speed Queen machines (G200, G400 or G350 factor depending on the model) considerably reduces drying times, and thus also laundromats’ electric bills. Speed Queen washer-extractors use little energy. They are designed to wash clothes thoroughly without damaging textiles and with optimal water consumption. Linens are cleaner and better maintained: you keep them in good condition for longer. To meet the needs of its customers, Speed Queen offers a wide range of washer-extractors with different capacities: 8 kg, 9kg, 15 kg, 18 kg… as well as models with rigid base (hard mount) or suspension (soft mount) machines. The laundry business is open to all: no training is required to open and manage a laundry. 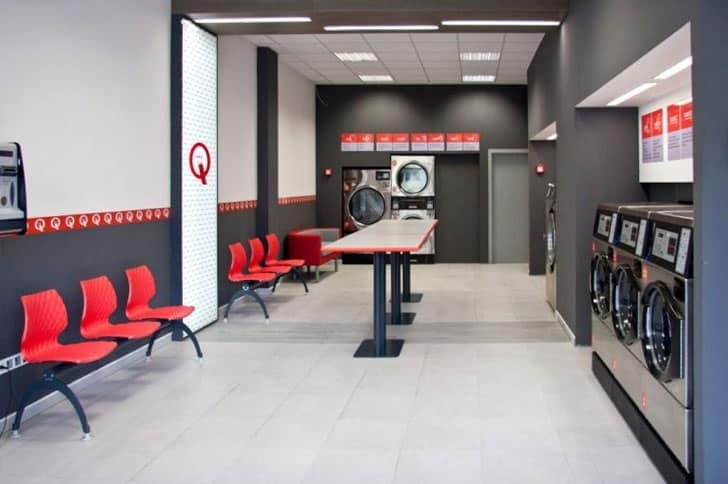 It is also calls for only modest investment – from €50 000 to €100 000 depending on the laundry location and equipment – and Speed Queen also offers financing solutions. It’s a profitable business: Speed Queen machines are designed to provide a professional service in record time, with minimal water and energy consumption. You let the machines work for you and your income is automatic. No staff costs: you don’t have to recruit or manage teams of people. At most, you will need a cleaning company to clean your laundry once or twice a week. Cash income: you don’t have any non-payers and you withdraw cash from your payment machines each day. Support at all times: experts advise the investor in the choice of machines before the opening, from the business plan to the choice of location, so important for the commercial success of a laundry. Speed Queen is presently the only brand of laundry to equip its laundromats with its own machines. No intermediary interferes in the relationship between the brand and its investors.